Washington (AFP) - A simple goof on Twitter capitalized upon by an enterprising web designer raised questions Wednesday over just how much President Donald Trump's lawyer -- and cyber security adviser -- Rudy Giuliani understands the internet. Giuliani tweeted last week about the "out of control" Russia collusion investigation by Special Counsel Robert Mueller. A typo that joined two sentences, though, created what Twitter automatically read as a hyperlink to a webpage with an India domain "G-20.In". Nobody owned that domain, so Atlanta web designer Jason Velazquez paid five dollars to register it and then posted a message on the page: "Donald J. Trump is a traitor to our country." As a result, anyone who read Giuliani's tweet and clicked on the cyberlink would be taken to the sentence attacking Giuliani's boss. 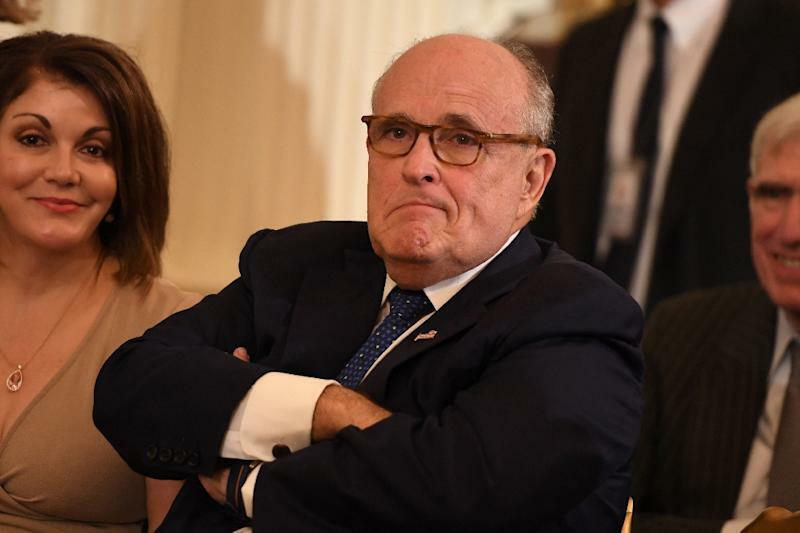 By the time Giuliani, who heads the Giuliani Partners cyber security consulting firm, took notice Tuesday of the error, his tweet became one of his most-ever liked, forwarded and commented upon. The former New York mayor was named last year as a cybersecurity adviser to the White House. But he didn't appear to understand what happened with his tweet, and lashed out at Twitter. "Twitter allowed someone to invade my text with a disgusting anti-President message," he tweeted late Tuesday. "Don't tell me they are not committed cardcarrying anti-Trumpers." That only drew more barbs to Giuliani, who by mid-Wednesday had failed to delete or fix the problem tweet. "Trump's cyber-security adviser right here doesn't know how twitter works," wrote Democratic consultant Brad Reason. "Good thing Rudy's a cyber expert.... Invading my twitters, indeed," said Brian Krebs, a prominent cybersecurity expert.